The most the Arabs can aspire to is to provide indirect help in forging a “Jewish unity” government. This indicates that the problem is in the Jewish court, not the Arab one. The Arabs who “went in droves” to the polls in the last election, according to the inciter-in-chief who serves as prime minister of Israel, produced a grand total of 13 MKs. That year’s Joint List was a kind of Arab version of today’s Blue and White – a ticket that included bigamist Islamists, nationalists, communists, liberals and anarchists. All the signs indicate that in the current election, the Arabs won’t go the polls in droves. An internal poll commissioned by the Hadash-Ta’al joint ticket found that turnout in the Arab community is expected to drop 19 percent compared to the last election. This indicates growing disgust among Arab voters with the Israeli political system, which is based on an built-in exclusion of the Arab parties. But Arabs’ disgust with the system also includes disgust with the Arab parties, which could be seen in all their shame in disputes over the crumbs of rotation among the Joint List’s various components. The latest polls show the Balad-United Arab List joint ticket hovering around the electoral threshold. But even if both Arab tickets make it into the Knesset, the polls give them only 11 or 12 MKs combined. In other words, the two tickets combined won’t win as many seats as the Arab community had in the last election. And it’s a mistake to think higher Arab voting rates could change this, because even if more people voted, their votes would be scattered among all the parties; there’s no guarantee that the extra votes would go specifically to Arab parties. This may be why Knesset elections have always aroused less interest in the Arab community than local government elections. In the latter, the clan, tribal and ethnic vote has a lot of influence, because local governments are the biggest employers in the Arab community and have a significant impact on daily life. But even if the Arabs “went in droves” to the polls and voted for Arab parties, giving those parties 15 or even 20 seats, it wouldn’t change the political situation in Israel one whit. 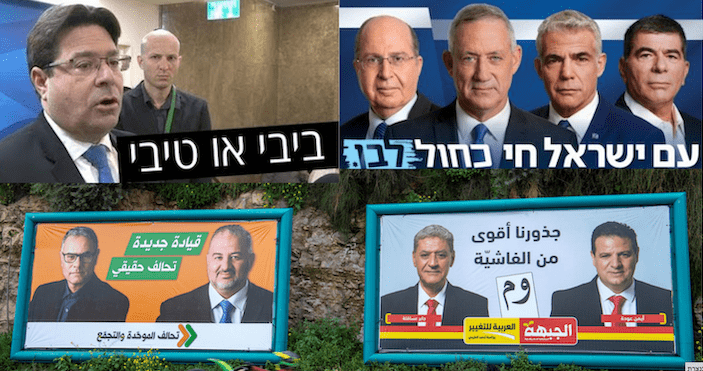 Granted, the inciter-in-chief in the Prime Minister’s Office won’t reiterate that “Arabs are going to the polls in droves,” but he’s already found another catchy vehicle of incitement – “Bibi or Tibi,” referring to Arab MK Ahmad Tibi. From the standpoint of the mathematical calculations he’s trying to etch into the consciousness of the Jewish tribe, he’s correct. The expected election results and the blocs that will be formed after the vote show that there’s no way to replace his government without the support of the Arab MKs. What this means is very simple: Arab voters are out of the game of Israeli politics, even in the eyes of those who want to replace the current government. The most the Arabs can aspire to is to provide indirect help in forging a “Jewish unity” government. This indicates that the problem is in the Jewish court, not the Arab one. Next Article After Bashir’s Fall, What’s Next for Sudan? 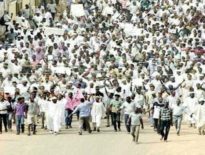 Headlines	After Bashir’s Fall, What’s Next for Sudan?